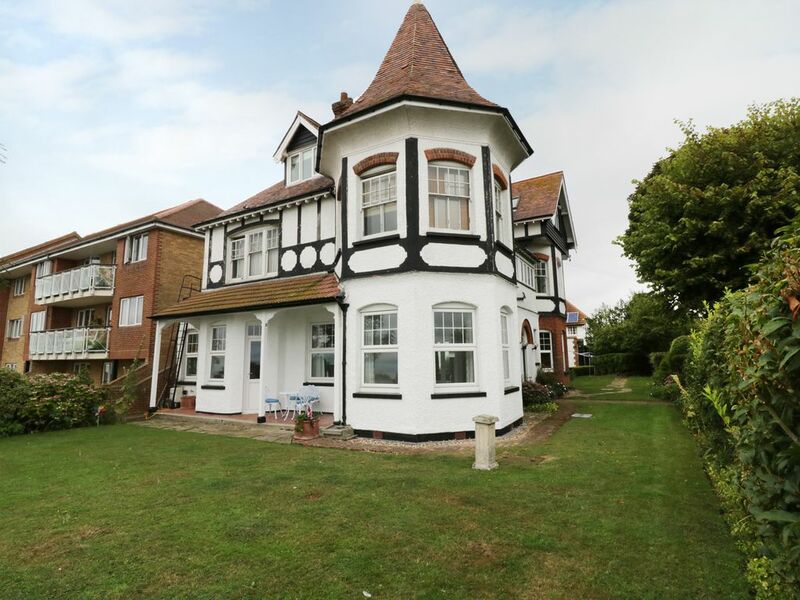 Flat 1, Cambridge Court is a pleasantly presented ground floor apartment residing in the delightful seaside town of Frinton-On-Sea, in Essex. It boasts two bedrooms; a double and a single (pull out bed can be double on request) . Inside there is also a shower room, kitchen and sitting room with dining area. To the outside is roadside parking and a garden with lawn, patio and furniture. Flat 1, Cambridge Court is a lovely holiday let not to be missed. Amenities: Gas central heating. Electric oven and hob, microwave, fridge, washer/dryer. TV with freeview, DVD, WiFi, selection of books, games, toys and DVDs. Fuel and power inc. in rent. Bed linen and towels inc. in rent. Cot and highchair available on request. Unrestricted roadside parking. Garden with lawn, patio and furniture (not enclosed). Sorry, no pets and no smoking. Shop and pub 5 mins walk. Beach 1 mins walk. Note: Standard configurations of the property will be a double and single room, if you require the single stacker bed to be made up as a double bed please notify the reservations team at the time of booking. Region: Cambridge is a delight to visit in any season: relax in its many pubs, restaurants and cafes whilst exploring the shops around the historic market place. If you want to get up, out and about, you couldn’t have picked a better county to explore. Town: This delightful seaside town boasts tree-lined avenues an elegant esplanade and picturesque shoreline. There are several eateries and a few local shops, along with abundant walking and birdwatching. The neighbouring town of Walton-on-the-Naze, offers a vibrant pier with ten pin bowling and rides, as well as boat trips and fabulous scenery. Nearby Colchester is a historic market town with plenty in terms of outdoor adventure and attractions including Roman ruins and Medieval buildings as well as art galleries and Colchester Zoo. All ground floor. Two bedrooms: 1 x double, 1 x single (pull out bed can be a double on request). Shower room with shower, basin and WC. Kitchen. Sitting room with dining area. Gas central heating. Electric oven and hob, microwave, fridge, washer/dryer. TV with freeview, DVD, WiFi, selection of books, games, toys and DVDs. Fuel and power inc. in rent. Bed linen and towels inc. in rent. Cot and highchair available on request. Unrestricted roadside parking. Garden with lawn, patio and furniture (not enclosed). Sorry, no pets and no smoking. Shop and pub 5 mins walk. Beach 1 mins walk. Note: Standard configurations of the property will be a double and single room, if you require the single stacker bed to be made up as a double bed please notify the reservations team at the time of booking.